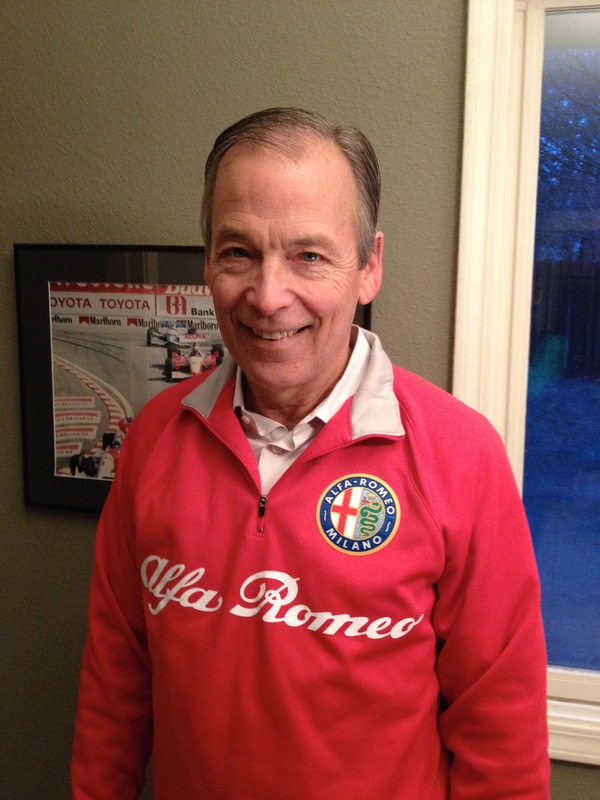 Your Alfa Club brought in the new year with the annual “Anti Football Run,” put on by our good friends from California Mille. About 200 cars participated on this blue bird January 1st. Alfas were well represented with 4 GTV’s, 3 Giulietta Sprints, two Giulietta spiders and one Sprint Speciale. There were Jaguars, a Sunbeam, two Lancia Fulvias, Ferraris, Citroens and many others. Starting in Sausalito, we drove peacefully to Stinson Beach up Hwy 1, past Point Reyes Station to Tomales. After a break, the drive took on a more “sporty” nature, passing Dillon Beach through dairy farms to the scheduled stop at the Petaluma Creamery. These are great sports car roads! Google “Anti Football Run” to find some great pictures. Next year, we will give you advanced notice. Our General Meeting on February 5th will feature a speech by Conrad Stevenson about La Carrera Panamericana. This is the revival of the famous open road race in Mexico that ran from 1950 to 1954, and was considered the most dangerous race in the world. It was the equivalent of the Mille Miglia. Don’t miss one, it will be fascinating! The General Meeting on March 5th will feature Spencer Trenery, speaking about The Paris-Dakar Rally. This is a off-road endurance race that formerly was run from Paris to Dakar, Senegal. It recently has been held in Argentina and Chile due to security issues in Africa. I spoke with Spencer yesterday at Fantasy Junction. He was exhausted from the race and travel home. Actually, he could barely stand up!. He will tell us all the gory details at the meeting. I just spent a few hours updating the ARA Membership list so that I can e-blast information to each member prior to events and meetings. My goal is to send out the blast two weeks prior, and again two days before the meeting. With this, I hope that more members will participate in the General Meetings, Driving Tours and events like All Italian Day. General Meetings are at Ricky’s Sports Bar, 15028 Hesperian Blvd, San Leandro at 8 PM the first Wednesday of the month. Consult the back page 2014 ARA Calendar of the “Cams.” Come be a part of this very welcoming group! In January’s Steering Column, I posted “Questions for ARA Members”. I have received several responses, but need a lot more to get an understanding of what members want from our club. I will be emailing each of you a Survey Monkey at least a couple more times. Please take a few minutes and fill it out. The results of this survey will be more fun events, that are focused on what Alfa drivers want to do. The ARA board invites you to participate in Alfa Club activities. I guarantee that you will have fun! Lastly, dues are going up to $45 for members and $55 for associate members effective March 1st. This is due to the increased cost of publishing and printing the “Overheard Cams.” I promise to give you more for your money.